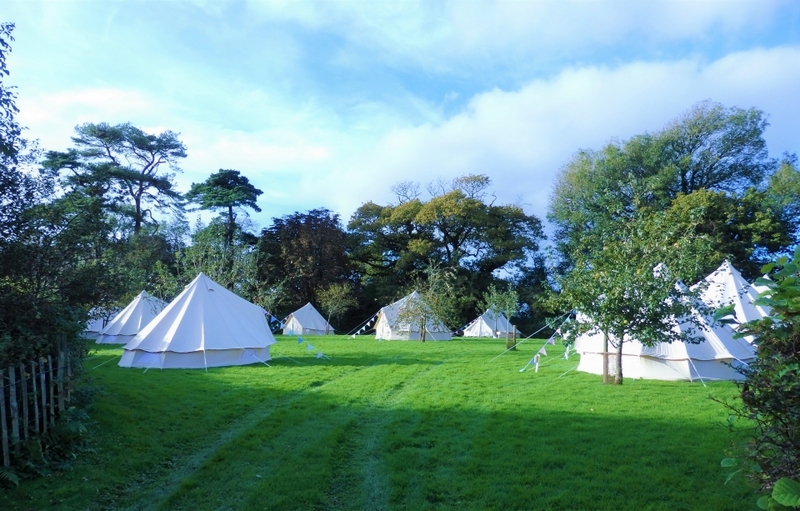 The stunning Bridal Suite bell tent package guarantees you a wedding night to remember. Our beautiful 5m tent is furnished with a full-length mirror, large driftwood trunk, matching bride & groom’s bedside cabinets, king-sized raised AeroBed with gorgeous bedding, cushions and blankets, and the warm coir flooring is swathed in luxury floor rugs. The inside is decorated with hundreds of fairy lights and white petal lights. Realistic candles and lanterns softly flicker around the room. A complimentary bottle of champagne and vase of flowers in your chosen wedding colours completes the romantic ambience, and you can add your own personal touches if you wish to free your artistic flair! 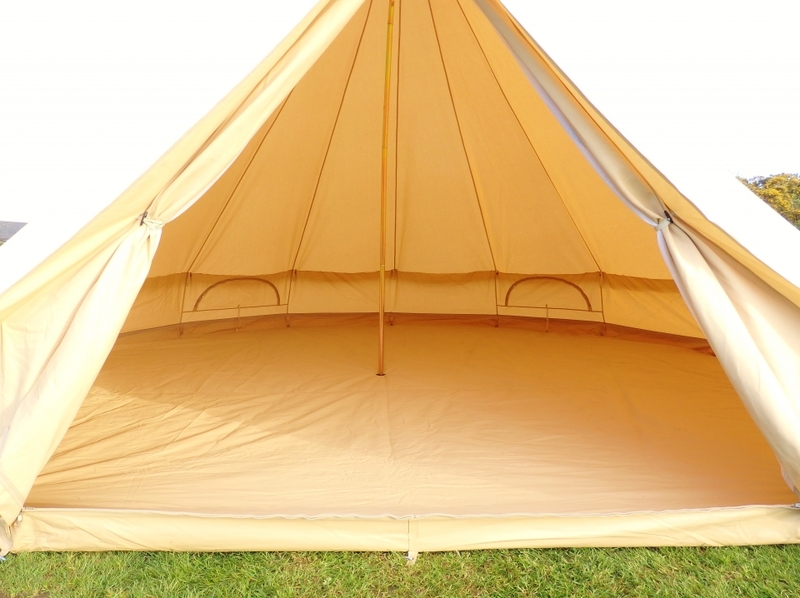 Our standard package is simply an unfurnished 4m or 5m bell tent with integrated ground sheet and front door mat. 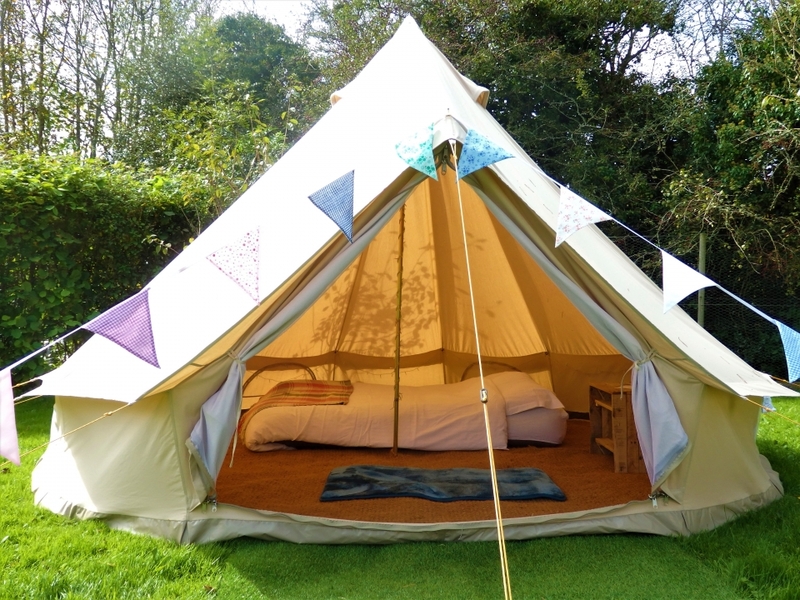 This is ideal if you just wanted the experience of a bell tent, but preferred to bring your own air beds and bedding, or roll mats and sleeping bags. The door mat provided helps to keep your tent nice and clean and dry inside. The classic package brings you a 4m or 5m bell tent with integrated groundsheet and door mat, additional coir flooring for warmth and comfort, a double air-bed (or two singles) with fitted sheet, soft floor rug, cosy blanket, wooden bedside unit, internal fairy lights and bunting. Bedding packs are also available in crisp, white linen. 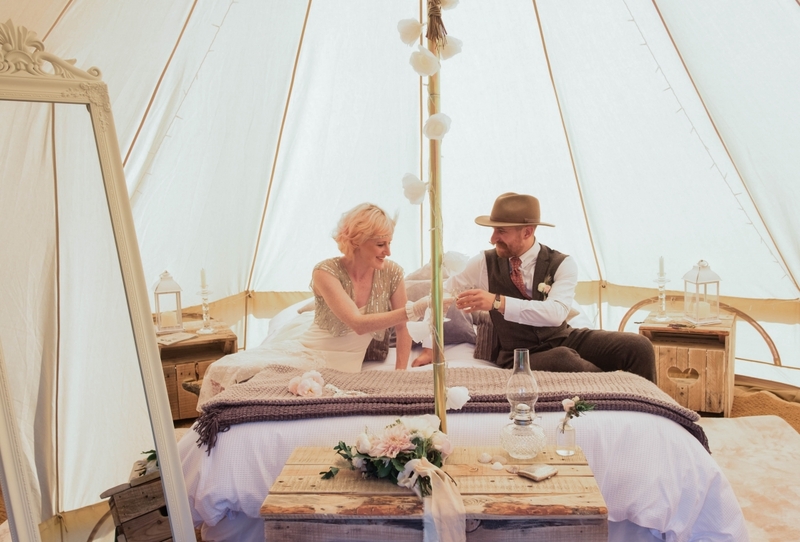 Get the most out your wedding or party, festival or celebration by making it possible for you and your guests to stay together in luxury in your own bell tent village. Perfect for campsites and private field venues. 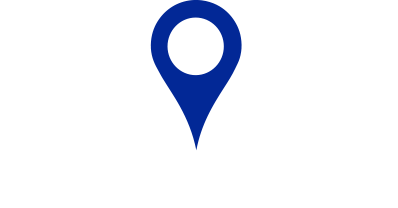 BellaKernow will erect and furnish all the tents, and dismantle them after your event has finished, allowing you to host a memorable gathering, and save everyone the hassle of parting company and leaving the party in order to travel to accommodation. 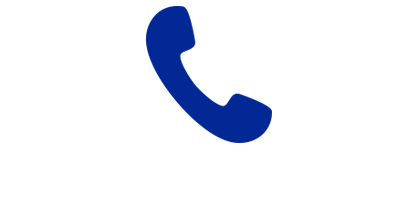 Includes tent and integrated ground sheet, door mat Includes tent and integrated ground sheet, door mat, double air bed (or 2 singles) with fitted sheet, cosy blanket, additional coir mat flooring, soft rug, bunting and fairy lights. 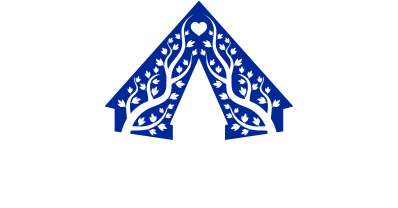 Includes tent and integrated ground sheet, door mat, double air bed (or 2 singles) with fitted sheet, cosy blanket, additional coir mat flooring, soft rug, bunting and fairy lights. Includes tent and integrated ground sheet, door mat, additional coir mat flooring, king-size raised air bed with beautiful bedding pack, luxury blanket and cushions, super soft carpet rugs, 2 lanterns, fairy lights, bunting, full length mirror, low tables, wooden chest. Additional camping extras available on request.